Last night Artificial Lawyer published the news that the well-known law company*, Elevate, had acquired the 20-strong US-based legal AI company LexPredict. It’s a major move that will add new urgency to the rest of the market to improve how they handle process work and increase the competition between LPOs and ALSPs. For example, Thomson Reuters’ managed legal services arm is working with legal AI company, eBrevia, while ContractPodAI – an AI-driven doc review business – is integrated with the LPO from which it grew. But, not all LPOs and ALSPs have gone down this road, though it seems few will be able to remain in the game for long if they don’t. Then we have the Big Four firms, some of which such as PwC have developed process arms that leverage legal AI tools. And of course we have the growing number of law firms that have built process centres and exploit legal AI doc review tools as well. This all brings even more pressure to bear on the idea that humans alone are the best solution for matters such as doc review. As Elevate says, the best mix is AI-plus-human. 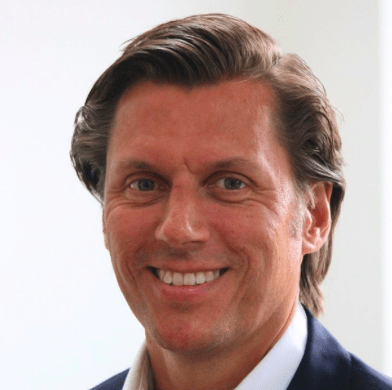 Overall then, the move will further help to establish AI-led doc review as a standard practice among an even broader range of clients, given Elevate’s extensive customer base since forming in 2011. And, in terms of Elevate it will mean not just having their own legal AI nucleus inside their organisation to handle doc review tasks, but the ability to create new AI-driven products that will build upon its existing Cael suite of tools (see below). predictive modelling for pricing and planning of litigation and transactional matters. Illinois Tech – Chicago Kent College of Law, adds a major injection of innovative talent to the group. LexPredict has always been pioneering and a lot of Katz’s work has been around litigation, creating algorithmic models based on legal data, and prediction. They’ve also had a lot of experience in running an AI business, as well as working with lawyers through their consulting engagements and generally being at the cutting edge of this sector. And, it’s worth noting that if you were in the market to buy a North America-based legal AI company, then first there are not that many well-developed ones to choose from, and of those that really stand out, such as Kira Systems and Seal Software, they are probably a bit too big now for an ALSP takeover, unless Elevate wished to pay in the hundreds of millions of dollars. Whereas LexPredict is still only around 20 people – so a much more doable deal. Moreover, LexPredict and Elevate had already worked together, most recently on matters for tech company Cisco, but the formal link between the two companies goes back to June 2017 when they jointly announced a working partnership. That said, Elevate has also long worked with Kira (see response on how things will go now with them, below). 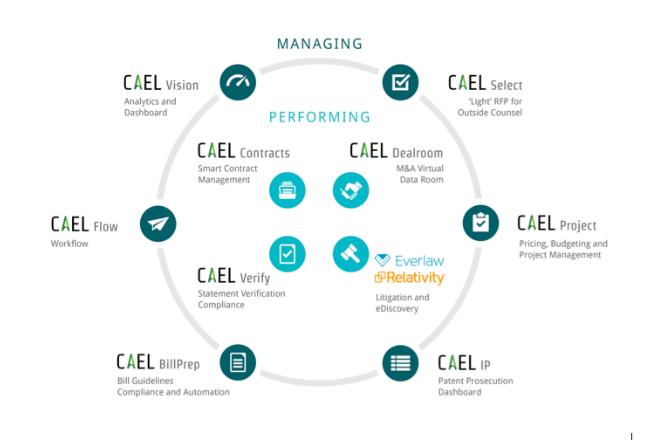 The deal also builds upon Elevate’s own suite of legal tech tools and capabilities, known as Cael (see graphic below). Some of these tools are more developed than others, but you can clearly see where Elevate has been heading. So, the deal with a legal AI company perhaps was inevitable at some point, the questions perhaps were only when and which company. And, if that had not been possible, Elevate may well have then tried to build its own capability that could compete with the likes of Kira, Seal, Luminance, Ayfie, RAVN (iManage), Diligen, Eigen…..and more…..which arguably they had already started on by working closely with LexPredict. Artificial Lawyer caught up with Dr Dan Katz, co-founder of LexPredict, and asked him some key questions about the deal. – Why sell to Elevate and why now? Dr Dan Katz, co-founder of LexPredict. Elevate has lots of law departments and law firms as customers with really interesting problems to solve, e.g. Cisco, etc. Elevate has a global footprint and lots of customers – including sales and local relationship management. Elevate has a range of existing interesting products, such as ELM, M&A deal room, Bill Prep. We believe that we can assist Elevate in expanding its capabilities within these existing tools while also helping them fashion new customer oriented offerings. Elevate supports our open source strategy and allows us to focus on developing that toolkit for law firms and law departments. The solutions to our customers’ problems often require the integration of multiple disciplines. We believe joining forces with Elevate is the most effective way to bring those solutions to market more quickly, by combining the engineering and data science of LexPredict with the award-winning legal services of Elevate. – How do you feel after building LexPredict, what does this move mean to you on a personal level? It is an exciting day for our team. We have had a great experience working with Elevate as partners on projects such as our joint work with Cisco. The acquisition of our company allows our team to focus on our highest and best purpose as we obtain the synergies of working with a large sophisticated organization. – Will you remain open source? Yes, Elevate plans to continue with the LexPredict open source strategy. This will allow us and the community to continue to develop and improve the legal AI toolkit. – Does this mean the end of the relationship between Elevate and Kira? Elevate uses a number of AI products as BAU and has since 2013 in a program which seeks to fuse ‘Machines and Expertise in Everything’. The goal is to find various way to augment Human Intelligence with Artificial Intelligence. Elevate will continue to use a number of other AI products (Kira and others) that are best specified for certain purposes. 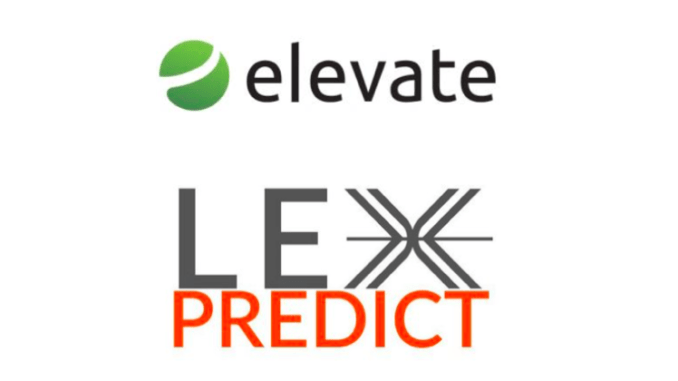 Elevate will use the LexPredict capabilities to design more tailored solutions for customers. Our team is excited to get to work! Thanks, Dan, and congratulations! Indeed, exciting times! Elevate has begun to refer to itself as a ‘law company’, rather than an ALSP (i.e. an Alternative Legal Services Provider). John Croft, President and Co-Founder of the company, told Artificial Lawyer how he defines law company. 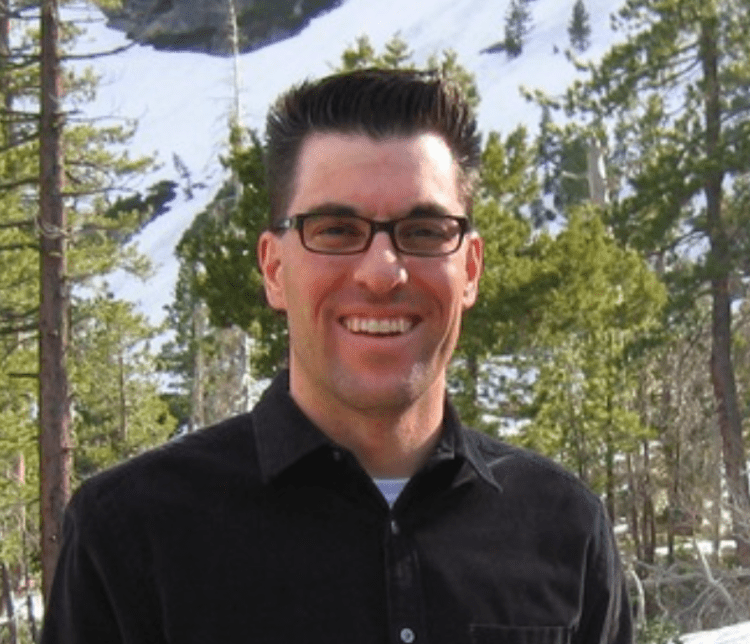 John Croft, President and Co-Founder, Elevate. ‘We see a law company as any organisation that provides legal services (flexible lawyering, legal tech, legal consulting, Big Four, LPO, etc.) that is not a traditional law firm partnership. The idea that we are an ‘alternative’ provider of legal services seems to me to imply that there is one ‘proper’ way of providing legal services (i.e. going to a traditional law firm) and any other way is ‘alternative’ (i.e. wrong/new/risky!). As far as I am concerned, Elevate provides legal services and so do law firms, such as Slaughter and May. We might provide different legal services, or we might deliver the same legal services in different ways (or we may deliver exactly the same legal services in exactly the same ways! ), but we both provide legal services. So, I no longer see us as ‘alternative’. I think the only difference between the two is that they are a law firm and we are a law company. I fully understand that things like LPOs, flexible lawyering and legal technology did not exist more than ten years ago (so they are relatively new, compared to the law firms who have been doing the same work in the same way for decades). But, as we grow, as the Big Four enter the law company space, as law firms build their own captives in India and Belfast, as everyone is starting to use legal tech somehow or other, as firms are following our lead in providing flexible lawyering services to their clients, we feel that the way in which corporate law departments buy legal services is changing – and today, instead of just having law firms to buy from, they now also have a wide array of law companies to buy from. So, there you go. What do you think?